"The Round Mountain Pillow - with a stretch polyester fabric - is soft and comfortable, and weighs in at a mere 2.5oz. I-Beam construction provides support and easy inflation and deflation. 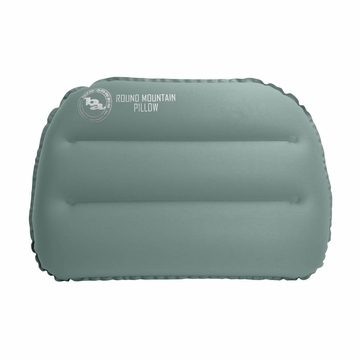 Conveniently designed to fit in the pillow pocket of Big Agnes Sleeping bags, the Round Mountain is a lightweight alternative to using a jacket for a pillow - because no one wants a zipper in their eye. I-beam construction provides support and easy inflation / deflation "